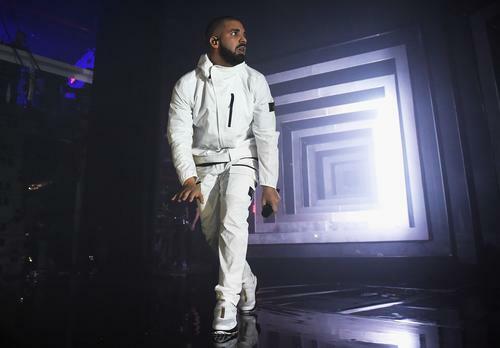 Drake was scheduled to hit the stage at 2 a.m. It's already difficult to grab tickets to a Drake show at an arena, let alone a club. The rapper was scheduled to perform at DAER Nightclub at the Hard Rock Hotel & Casino in Atlantic City on Sunday. Unfortunately, fans were left waiting until the wee hours of the morning for the rapper to perform as scheduled. According to PageSix, Drake showed up at 3 a.m. for a club performance that was initially scheduled for 2 in the morning. Fans who got tickets were told to pull up the event for 11 p.m. Despite being an hour late for his appearance, fans didn't hold a grudge against him for it. The crowd was reportedly hyped when the rapper walked in around 3 a.m.
“The crowd was anxious but the room lit up the second he walked in,” the source said. Prior to the club performance, Drake performed in Philadelphia with the Migos for their "Aubrey & The Three Migos" tour stop. It's roughly an hour long car ride from Philly to Atlantic City. Drake pulled up and performed some of his hits including "In My Feelings," "Look Alive," "SICKO MODE," and "God's Plan." After the performance, Drake and his entourage which consisted of roughly thirty people hung out at the VIP table, sipping on vodka Red Bulls before making his departure around 4:15 a.m.